Around 100km into Stage 8 of the Dakar Rally 2019, Stuart Gregory was forced to retire from this year’s event due to engine failure. His motorcycle stalled at around the 100km mark of yesterday’s stage, and although he was able to restart it, after a further 25km it gave up the ghost completely. With Stuart’s withdrawal, there are now only 18 riders remaining in his Original by Motul class of the 35 who began the Dakar Rally 2019. This 50% rate of attrition speaks volumes as to just how demanding an event this is – especially for riders who attempt it unassisted. 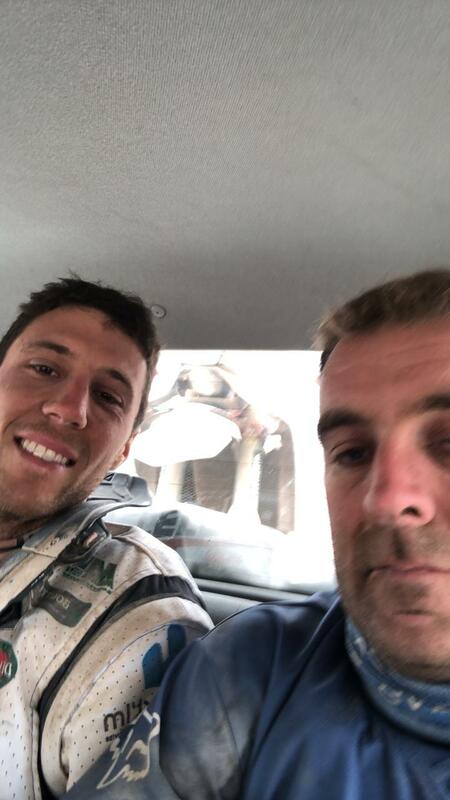 Speaking from the Pisco bivouac, Stuart described his Dakar Rally 2019 experience as “awesome” and he was quick to thank his sponsors for their support. He was concerned that he had let everyone down, but even though he failed to finish the Dakar, it’s impossible not to feel immensely proud of Stuart’s achievement in completing 7 stages under gruelling conditions, and all while carrying out all his own motorcycle maintenance.